Looking back some of the old recipes and pictures on this blog definitely give me goose bumps. The writing part hopefully improved a tiny bit, but the old images back in 2007/2008 were just..let me try to use a more polite word, unsatisfactory. Either way, good or bad, all these posts are my babies, I can see traces of memories and improvements all these years, and hopefully many more to come. Ingredients (for 2, simply double the recipe for 4)? Prepare a double broiler. You can also fill up some water inside a pot and top with a big bowl above, make sure the bottom of the bowl does not touch the water. Inside the bowl, add in heavy whipping cream, milk, and vanilla extract. Stir and gently warm up the mixture. Do not bring to a boil, just heat up a little then remove from heat. 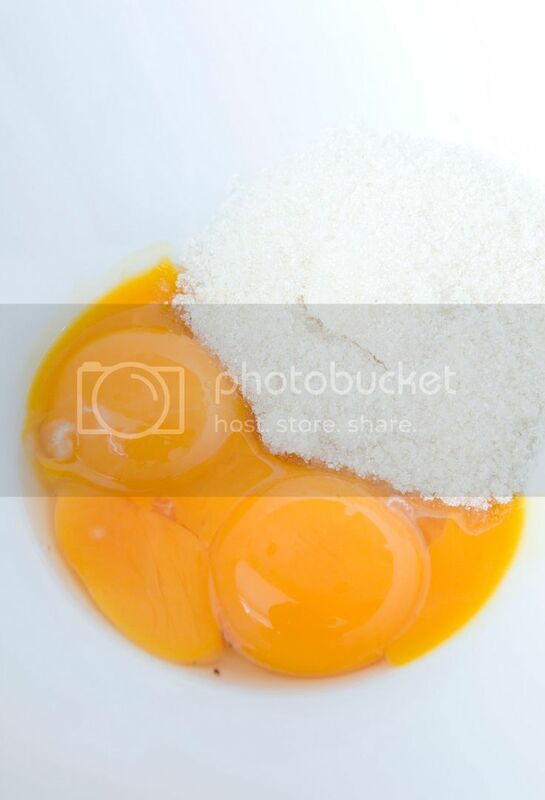 Prepare another bowl, add in egg yolks and 1/4 cup of granulated sugar. Beat for about 2 minutes or till the sugar has been fully dissolved and the liquid appears smooth with light yellowish hue. Pour half of the creamy mixture to the bowl with egg yolks and sugar. Mix well then pour in the other half, blend well again. Strain using a fine mesh sieve if desired but not necessary. Put 2 medium size ramekins onto a baking dish. Carefully pour the mixture into the ramekins till about 80% full. 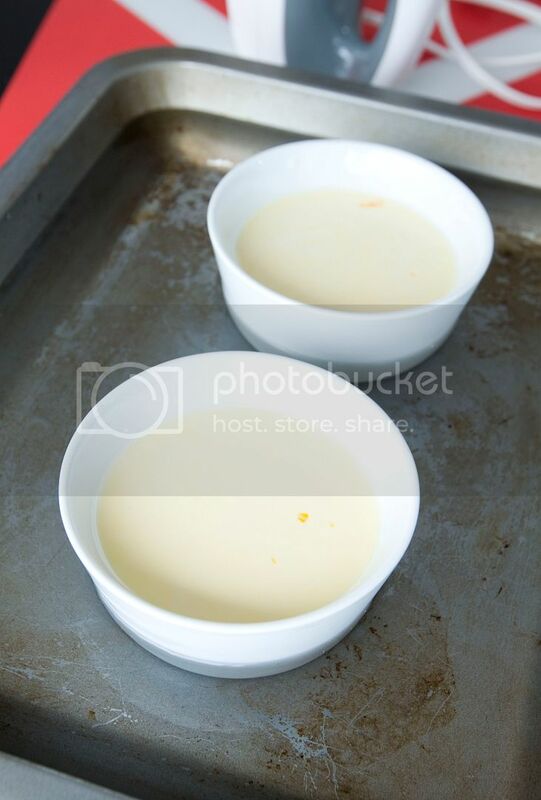 Pour hot water to the baking dish till it reaches 1/3 to halfway up the sides of the ramekins. Transfer the baking dish into the oven and bake for 45 minutes. Once ready, be extra cautious when carrying the heavy baking dish out from the oven. Take out the ramekins and let them cool for 10 minutes before covering with cling foil. Transfer the ramekins into the fridge for at least 4 hours before serving. 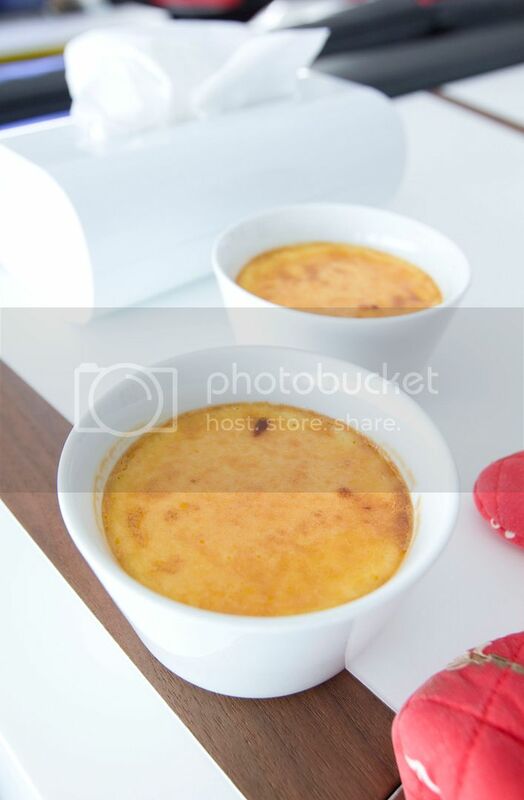 That's why creme brulee is a great make ahead party dessert because most of the prep work can be done the day before. 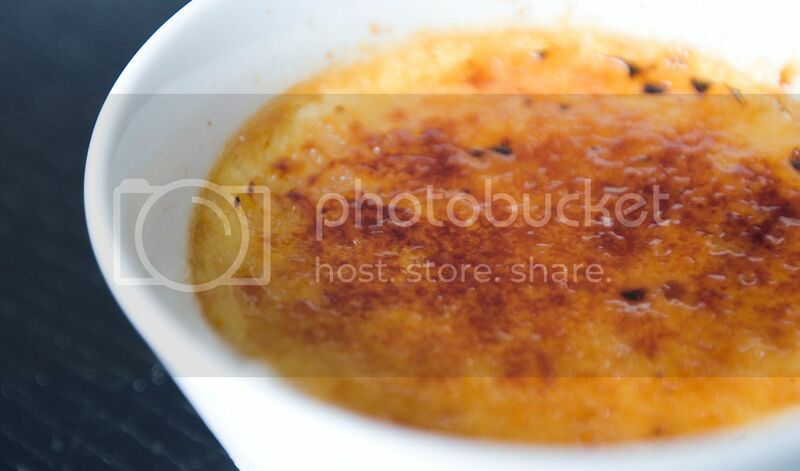 You can also put on an impressive live brulee show before serving right in front of the guests. 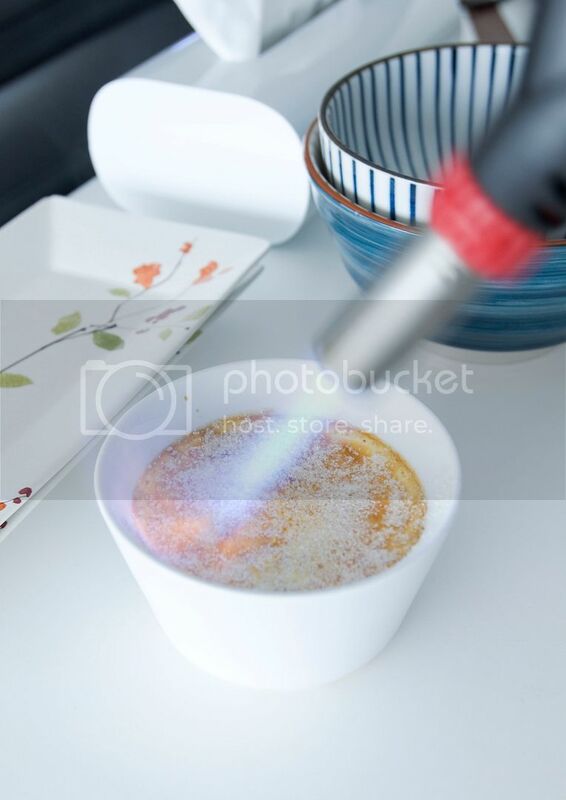 Sprinkle about 1 tablespoon of granulated sugar on each serving and torch till caramelized. Wait for about 30 seconds till the sugar forms a crisp top. Just grab a spoon and get ready to dig in this creamy goodness.